“Senior Citizen Savings Scheme” as my father searched this phrase on internet today morning, he found numerous posts on this subject. All the posts were more or less. In short Cut, Copy and Paste of each other. He told me that if i read one, it means i read all. Its quite unfortunate that non-finance person is left in a lurch. 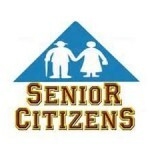 All articles on Senior Citizen Savings Scheme only highlighted the features of scheme. There is no guidance available whether to invest or not?. What are the pros and cons of the Senior Citizen Savings Scheme?. It inspired me to write today’s post on “Senior Citizen Savings Scheme” and i deviated from my editorial calendar. Besides Senior Citizen Savings Scheme being an effective investment tool for retirement planning, readers can also check my post Retirement Planning – Non Conventional Way. As i mentioned, You will find 100 of posts on internet with scheme details. In this post we will focus only on whether to invest in Senior Citizen Savings Scheme or not. Before that i would like to highlight that there is no standard definition of Senior Citizen in India. It is quite unfortunate. According to Indian Railway, a Female is senior citizen if she attains age of 58 years. Whereas a Male is senior citizen if he attains age of 60 years. According to Air India website, a person is eligible for Senior Citizen Concession only if he or she attained the age of 63 years. For the purpose of Health Insurance, Senior Citizen Health Insurance policy is issued for people between 65 to 80 years which is good. Why i touched upon this point is because in Senior Citizen Savings Scheme there are exceptions allowed on age criterion. I will discuss this later. According to “The Maintenance and Welfare of Parents and Senior Citizens Act 2007“, Senior Citizen means any person being a citizen of India, who has attained the age of sixty years or above. It is now standard definition for most of the Govt schemes. 1. Highest Interest Rate: Currently Interest Rate offered under the scheme is 9.2%. Interest rate is linked to G-Sec with spread of 100 basis point i.e. 1% over the G-Sec rate. Unlike PPF, Interest Rate of Senior Citizen Savings Scheme is fixed during the term of the scheme. In short, Senior Citizen Savings Scheme provide assured return and fluctuation in interest rate cycle will not change the quarterly interest payout. Interest paid is simple interest and fixed. 2. Frequency of Interest Payout: Keeping the requirements of senior citizens in mind, the interest payout is quarterly to maintain regular income flow. Interest is paid on 31st Mar, 30th Jun, 30th Sep and 31st Dec.
3. Risk Free Investment: It is advisable for Senior Citizens to invest in Risk Free options. Senior Citizen Savings Scheme fits into this criterion. Investment is totally risk free and backed by Govt of India. 4. Tax Exemption: Investment under Senior Citizen Savings Scheme is eligible for tax deduction u/s 80C. This scheme is beneficial for senior citizens whose income is taxable and they can save tax. 5. Maturity: Maturity of Senior Citizen Savings Scheme is just 5 years, keeping the requirement of senior citizens in mind. Scheme has an option of premature withdrawal of the deposits after 1 year. At the time of maturity it can be extended by 3 years. 6. Premature Withdrawal: Premature withdrawal is allowed only on completion of one year. If account is closed on completion of 1st year but before completion of 2nd year then there is a penalty of 1.5 % of deposit value. If account is closed on or after completion of two years, penalty is 1% of deposit value. 7. Reach: Senior Citizen Savings Scheme can be opened in any Post office, 24 nationalized banks and 1 private bank. Wide reach of this scheme makes it more suitable for senior citizens. 8. Comparison with Monthly Income Scheme of Post Office: Many people compare Senior Citizen Savings Scheme with Monthly Income Scheme. I agree that monthly interest payout is good option for senior citizens but interest rate of Monthly Income Scheme is less than Senior Citizen Savings Scheme. Secondly, for single account max limit in Monthly Income Scheme is 4.5 lakh and for joint account its 9 lakh. Whereas in Senior Citizen Savings Scheme, a senior citizen couple can open separate accounts with limit of 15 lakh each therefore total investment can be 30 lakh. 9. Transfer of Interest to RD account: If you open Senior Citizen Savings Scheme in post office then you can earn upto 10.5% interest if interest from Senior Citizen Savings Scheme is transferred to RD account. You can submit application to post office in this regard and interest of Senior Citizen Savings Scheme will be directly credited to RD account. 10. Account Portability: Account can be transferred from one bank to another therefore ease of operation and convenience is another plus. 1. Compounding of Interest: The interest paid is calculated every quarter as i mentioned earlier. In case, the depositor does not claim interest then additional interest will not be paid on the interest due to the depositor. It is not the case with other schemes like PPF therefore this scheme is more suitable if you need money on regular basis. 2. Interest is Taxable: Similar to Fixed deposits, interest received under Senior Citizen Savings Scheme is fully taxable in the hands of depositor. Interest will be clubbed with the income and tax is applicable as per income tax slab of the senior citizen. To summarize, this scheme is beneficial if annual income of senior citizen is below taxable limit or is in lowest income tax bracket. 3. Reversal of tax deduction u/s 80C in case of Premature Withdrawal: If the senior citizen decide to close the account and opt for premature withdrawal then all the tax benefits availed will be reversed. 4. Maximum investment of 15 lakh: Normally at the time of retirement, retirement corpus received is higher in value therefore limit of 15 lakh is too low. 5. Loan against Senior Citizen Savings Scheme: Unlike insurance policy, FD’s etc depositor cannot avail any loan against Senior Citizen Savings Scheme. 6. Post Maturity Interest: If at the time of maturity or after maturity the account is not closed and principal amount is not withdrawn then interest rate applicable will be Post office Savings Accounts interest rate i.e. 4%. (c) Retired under VRS or SVRS: 55 years. Account should be opened within 3 months of retirement. Instead of lump-sum investment in Senior Citizen Savings Scheme, it is advisable to invest in trenches spread over 2-3 years to get maximum tax benefits depending on taxable income.